Great location-near to the Highway! New Construction ranch! 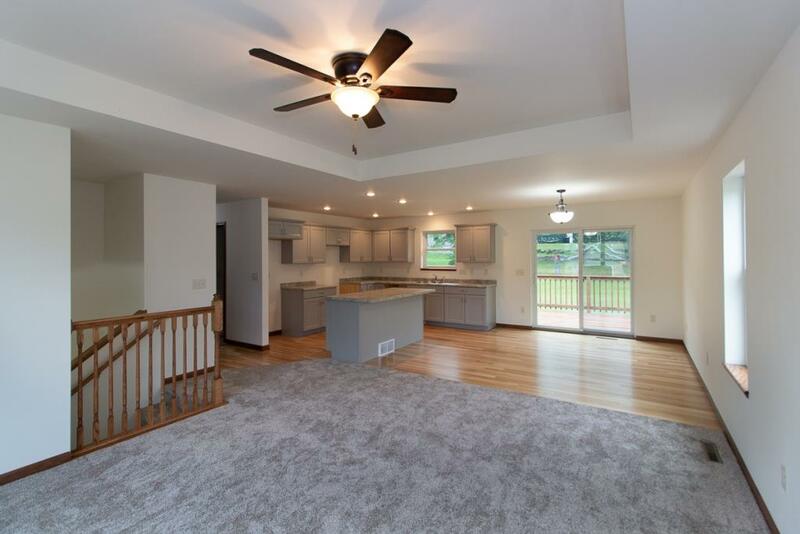 This 3 bedroom, 2 bath home is located in the Timber Ridge neighborhood. Main floor laundry. Master bedroom with walk-in, and master bath. Quality materials used throughout. Hardwood laminate Flooring. 9 Ft tall ceilings with a vaulted ceiling in the living room gives a spacious feel. The kitchen has stainless steel appliances included. Many windows throughout the home to flood your home with daylight. The basement has potential for additional bedrooms, bathroom, and family room. Perfect if you would like the ease of 1 level living, and the “no worries” peace that comes with a new home.